At Pimperne Church of England Voluntary Controlled Primary School, in a Christian atmosphere of faith and trust, we aim to provide a safe, happy and stimulating environment for learning. 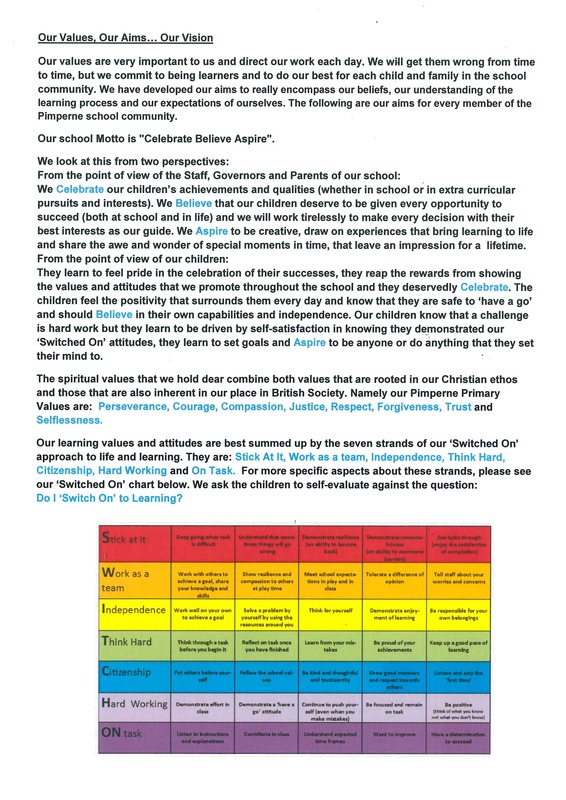 Our vision is of a school that has high expectations of its children and the adults who work here. We aim to develop the full potential of all our pupils, whilst nurturing strong links between the school, home and wider community.